Faith requires an action and that is why Matthew 7:7 has always been appropriate to my life. 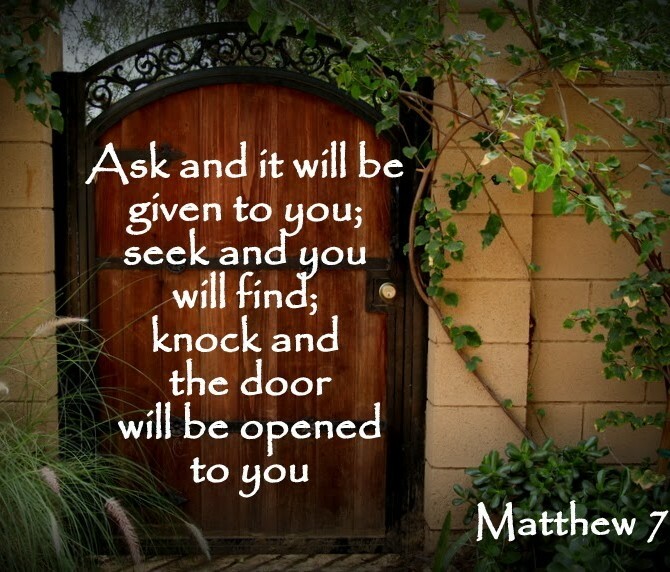 ‘Ask and it will be given to you; seek and you will find; knock and the door will be opened to you.’ I have found that often when we ask we have to wait and need to take some form of action! Why? If everything fell into our laps the second we requested something, we would not need faith, we would not be required to do anything and eventually wouldn’t need God, wouldn’t need to look up, pray, hope and believe that our Father will provide. My faith walk, as far as these books are concerned, began when I was diagnosed with cancer and couldn’t work. During that time we saw God’s grace in many ways and experienced the most incredible love from His people. It wasn’t easy, when is it easy? Everyday was a challenge but we also experienced incredible blessings during that time. My first piece of writing was about my experience with cancer, highly unrecommended, not my work, the cancer! I then decided to write a novel for teenagers about Africa, a continent I am passionate about. It took me three years to complete my first book as I didn’t have a clue what I was doing. I bought Creative Writing packages, researched the Internet about each and every detail – from information needed to describe habitats, animals, cultures and so on to ‘how to write a covering letter’ or a ‘synopsis’. During this time I have dreamed and believed that I can do it as I have help from above. To me that belief requires persistence, endurance, patience, stamina and fortitude – don’t give up! My last point for today is that you should surround yourself with ‘firelighters’ and not ‘fire‐extinguishes’ (from Word for Today). Only tell those you trust about your dreams; those that believe in you, encourage and cheer you on. The fire‐extinguishes will crush your hope; they will say things like ‘do you know how difficult it is to get published?’; ‘so many people start books but never complete them’, and on and on with negativity. Here is a piece of what I consider good advice – set out to prove them wrong – accomplish your dream! Incredible Facts about the Animal Kingdom – How can anyone question there is a God?